Played and endorsed by the world's top percussionists. The Remo Tar is constructed using a Skyndeep fixed drumhead pitched to produce the desired overtones that professionals listen for. 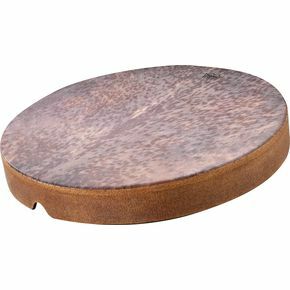 A light texture gives the drumhead a very real, natural feel. With just the right amount of overtones, Remo Tars not only look incredible, they sound amazing! The sounds are traditional and ancient, yet the tar has endless applications for modern music.